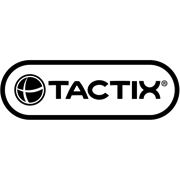 The Tactix modular small storage range is an ideal storage solution for small items used within the home in particular craft and hobby products. This Large size is 1 of 8 items across 3 different sizes which are all modular and stackable. 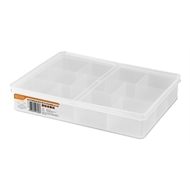 This item comes with a divider inserted creating 4 smaller compartments. They can be used individually for different uses or in one location as a storage system on a desk or in cupboard.